Nathaniel Beverley Tucker, son of the former professor of law St. George Tucker, graduated from William & Mary with a degree in law in 1801. He then departed to Missouri and became a territorial circuit judge. 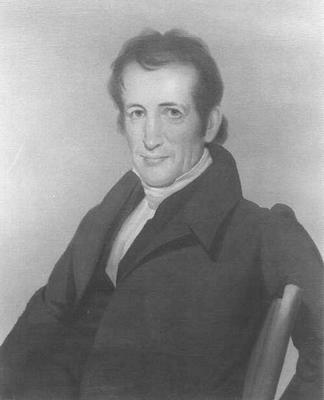 After returning to Virginia in 1833, Beverley accepted the vacant position of professor of law at the College of William & Mary in 1834. Tucker was a monumental force in shaping legal education. Whereas leading legal institutions taught law with a broad, national focus, ignoring particular distinctions of state law, Tucker concentrated the legal curriculum at William & Mary on Virginia statutes and case law, with common law the foundation of both. Tucker also sought to train attorneys to be leaders rather than mere professionals. He used his father’s edition of Blackstone’s Commentaries in lectures, but often came to conclusions starkly opposite those of his father, who advocated moderation. A strong proponent of states’ rights, Beverley Tucker often lectured on matters invoking the Constitution, including slavery, nullification, and secession. Before he could see his ideas tested in action, Beverley Tucker died in 1851. N. Beverley Tucker's publications are available here.